Looking for it all in a home? 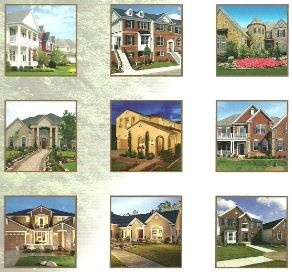 A great new community to consider is Meadows at Hope Hill Crossing in Woodbridge. You will get fantastic single family homes in a great location of Prince William County just off of Spriggs and Minnieville Rd. There will be 200 homes in the community. They are now newly constructed, to be delivered in the summer or can be built to your specification with prices starting at only $464,990. if you build from the ground up you can expect to move in within around 4 to 5 months. These fantastic homes can include a gourmet kitchen, wet bar, finished basements and many other extras. Some standard features include: Energy Conserving Insulation, Professionally designed landscape package, Seamless Aluminum Gutters and Downspouts, 25-year Architectural Roof Shingles, GE Energy Star Appliances, Drywall garages, Designer 42" Recessed Birch Kitchen Cabinets, Moen Faucets and much more! The neighborhood is convenient to I-95 and Rt. 234 making all of Northern Virginia and Washington D.C.'s attractions easy to get to. This great planned community is developed by one of the nation's largest home builders and features many amenities that include a Clubhouse with Olympic Size Pool, Playgrounds, Volleyball Courts, Walking Trails while also being close to shopping, dining and state parks! The HOA fee for all of this is only $92 per month. The Prince William Public Schools for the community are: Ashland Elementary, Saunders Middle School and Forest Park High School. The homes start at approximately 2,687 square feet with the Delaware Model and can be as large as 4,500 square feet with the Fairhope Model.